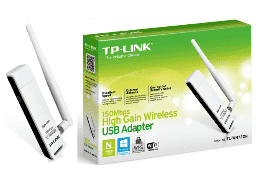 TP-LINK TL-WN722N driver free download Windows 10, 8.1, 8, Windows 7, Vista, XP & Mac OS X 10.11 – 10.6. Driver to easily install Wireless USB Adapter. Software description: TP-LINK TL-WN722N drivers installation. Driver version Windows: 21.14 MB | V2 | 2016-11. Driver version Mac: 10.35 MB | V2 | 2016-11. Driver version Windows: 7.03 MB | V1 | 2014-09.